Of course, since ‘hardtop’ has been reading my website for a while and my posts, he should know – as my regular readers already know – that I hold totally opposing views to many gurus such as Suze Orman, Dave Ramsey, and Ric Edelman. And, while I do agree that it helps to be “in the right place at the right time (luck) with the right product and enough capital”, I had to create the ‘right’ products for the businesses that helped to propel me to $7 million in 7 years, as well as creating a market for them – without ANY outside capital – and, I had to commit to moving countries … and, putting EVERYTHING that I had on the line to get there! Oh, and before then, instead of spending my meager profits, I invested them in real-estate. I don’t think that I ever mentioned it at the time, but I went to Warren Buffett’s Annual General Meeting in Omaha in 2008. It was like going to a rock concert … without the music. It was held at some football stadium, which was packed with 30,000 (maybe more?!) people and Warren Buffett and his long-time business partner, Charlie Munger sitting at a table with three large video screens behind them (just showing Warren and Charlie sitting at the table … only MUCH larger!). Warren invites all the ‘international visitors’ [AJC: That’s anybody who registers with a foreign passport as their ID … I have a US driver’s license, of course, but I heard that there were ‘extra benefits” to registering using international ID] to a meet and greet. This meant bringing anything that you bought from his trade show in the huge conference hall attached to the stadium (he has stands from a number of the 70+ businesses that he owns) and he and Charlie will shake your hand and sign it one item that you bought. But, he stopped doing that – after 2008 – because there was a line of 1,000+ people waiting to shake his hand and get their signature. I know this, because when I got to him, the World’s Greatest Investor spoke to me! 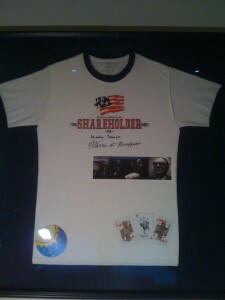 Still, I got my $5 T-shirt signed, and had it framed with a couple of Warren Buffett and Charlie Munger playing cards (! ), a couple of pictures that I printed from a web-site after googling “warren buffett”, and my round official entry badge. Basically, this company did complex deals with rural land-owners, farmers, and so on to plant certain crops and sell shares to private investors; the advantage to the investors being (a) immediate and attractive tax-deductions, and (b) future (i.e. 10 to 30 year) capital returns … trees take a LONG time to grow! Given that one friend was their CEO, another one of their key operations directors, and a third an enthusiastic ‘professional’ (counting, amongst others, my wife as his client) who positively represented the project to a number of my affluent friends who were also his clients, you may ask how much I invested in the company. 3. Because of the 5-minute rule (if I don’t IMMEDIATELY understand it, I don’t buy it … and, truth be told, I don’t IMMEDIATELY understand much). 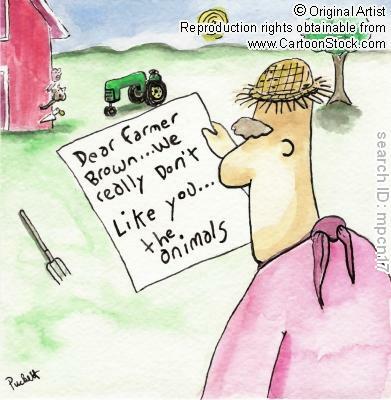 Postscript: because of the Australian drought, many of the trees did die, and the government did change the tax rules, and the company did go broke … and, many of my friends did lose 100% of their investment. 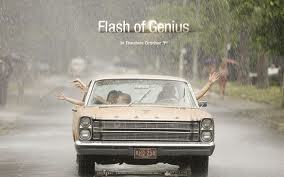 I was watching the Greg Kinnear movie: Flash of Genius. It’s the one where an academic engineer beats the giant auto makers in the ’40s to inventing the intermittent wiper that you see on your car. In case you are thinking of starting a patent-based business … don’t. To understand why, please watch the movie; you’ll see a man’s solitary struggle over 20 years to (luckily, successfully) enforce his patent rights against a giant corporation (in this case, Ford). You’ll also get a bit of a wake-up call about the legal profession (they will aim to settle a case early, so that they get their 30% quickly). He (according to a screen play that probably had very little to do with reality) suddenly got the notion that fixed speed wipers were stupid, so he immediately – and, I mean that night (!) – set about solving the problem. Now, I suddenly realized that man is me! 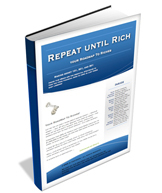 I created a little e-book some time ago for an online experiment that I was running for you guys; I actually gave the e-book away on this site but – for the purposes of the experiment – sold it for a few bucks a copy on a site that I set up for that purpose. Well, I’d been selling a few copies along the way … but, the experiment served it’s purpose, and I almost forgot about the book. But, it’s good! A simple, concise overview of everything that we talk about on this blog. So, on Thursday night, I suddenly get the idea for a site called “little free book”; I thought: “why not give this little book away to everybody … heck, I don’t need the money”. By Monday morning (that’s now), I have all of the pieces in place: book; graphics; web-site; twitter account; and, Facebook ‘fan ‘page‘. 1. It’s really easy to set yourself up on the Internet, especially if you have a blog: you have plenty of knowledge collected in your own blog (on whatever that subject may be) to create your own for-free and/or for-fee information products. If I can get all of this up and running BY MYSELF over one weekend, surely you can do the same over a week or two? You may not make much money (or, you may make a lot!) but, you will gain a huge amount of experience with ‘new media’ and ‘social media’ … as well as business. 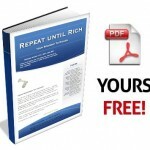 You might even make enough money to kick-start some other business and/or investment program. 2. What I don’t have is any clear strategy of what to do, other than give these books away to as many people as possible. But, that’s OK … you read the book by Ready, Fire, Aim by Michael Masterson didn’t you? If you haven’t, the message is clear: any ACTION is better than no action. Now, that the site is out of my head and onto the virtual ‘paper’ of the Internet, I have PLENTY of time to cogitate on all the potential strategies and counter-strategies of what I might/should/won’t/shouldn’t do with the Little Free Book. But, until I got SOMETHING going, I really didn’t have much to think about, did I? Oh, if you don’t already have my e-book, I would love for you to download a copy for yourself, and even send this link: wwww.littlefreebook.com to your friends. I would also LOVE for you to click ‘like’ on my new Facebook ‘fan page’ that I set up specially for this book: http://www.facebook.com/pages/Little-Free-Book/119974768055224 and, encourage your Facebook friends to do the same. 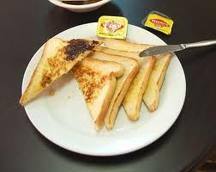 It occurs to me that, at the age of 49+, that I still like Vegemite, that quintessential Australian curiosity very loosely labeled as ‘food’. – Aussie children are almost weaned on it … it’s the only way to learn how to like it! I met a food scientist who was working on a project to create Vegemite cookies to help feed the less-fortunate in Africa (again, because of its super-high Vitamin B content); this came on the back of the very successful Milk Cookie project which helped to bring Calcium to places (like Africa) where the shipping and transport of dairy products would be just too difficult. Unfortunately, they had to cancel the project … there was just no way to make the Vegemite cookies taste good! … actually, it was liquorish – so, I took one and almost spat it straight out … it was THAT horribly salty! Apparently, it’s a delicacy in Holland on par with Vegemite (and, as bad tasting to the uninitiated). One man’s food it definitely another man’s poison. 1. Kraft bought the rights to Vegemite at some point, and if you visit their offices in Northbrook, Illinois (as I have) you will see its logo displayed very prominently on the wall above the receptionist’s desk. Not bad for a product only sold in a country of 20 million people (and, stocked in the USA almost purely for visiting Aussies). 2. Vegemite is inherently kosher (apparently pig food isn’t as unkosher as pigs-as-food) , but when Kraft decided to cut costs and take it off the kosher list (meaning that religious Jews in Australia could no longer buy it … a very small minority, in a very sparsely populated country), there was such an outcry that Kraft had to certify Vegemite as kosher again. 3. When we came to America, we brought 6 huge jars with us (and, brought more back on every trip home); this is not just us: my wife accidentally met a girl who was also relocating to Chicago … they were both at the supermarket checkout with a few of these large jars and (naturally) got talking. Well, there is a personal finance message and it’s this: one size doesn’t necessarily fit all … what one person likes may not suit the other at all. Adrian, what you said makes sense in most cases I suppose, but ,each case /person will have different circumstances ,even after retirement.Some sort of funds set aside seems a wise move.You cannot fore see very situation that might arise,especially at an advanced age. So, yes I agree that there is no magic in the 2 years’ number: put aside 1 year, 18 months, 2 years, or more …. I don’t really care! 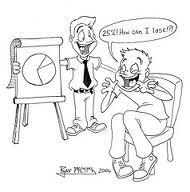 And, does it really matter whether you meet the 20% Rule or make it, say, 15% or 25%? BUT, the principles behind these rules – indeed, the whole methodology that I am slowly unfolding in these posts (in the random, shambly way that bloggers like to follow) – is One Size Fits All. Because the principle is simple: Find out how much you need to make (and why and by when), then work out how hard you need to work (financially) and how much risk you need to take to get there, then go for it! But, if you stray too far from the the guidelines that I provide, the chances are that you will not be investing enough to make any sort of meaningfully large Number by any reasonably soon Date. This guy makes a big deal of this ‘new approach’ to investing. You put ‘the other 20%’ into The Bank, so that you have 2 years of cash to live off, and essentially ride the downswings. I think that they’re hoping that by focusing on that yummy cash, you’ll forget to check what the market is doing, until you next go to top up your 2 year bucket. OK, pre-retirement, 2 years living expenses is way too much to have aside. $0 is a better number. … only two of my closest friends even know that I do blog – about personal finance – but, I won’t even tell them the name of my blog or my ‘pen name’! It’s not comfortable to talk about money: but, I resolved from Day 1 that this blog would need to be authentic and I would have to share the most gruesome details of my financial life. What is some financial advice you could give our readers? Do I understand from this post that $5M of your $7M net worth is in your own house? … I can, from a position ‘protected’ by semi-anonymity, remind our readers that my $7 million journey represents a 7 year ‘slice’ of my financial life from when I started $30k in debt in 1998 and ended up with $7 million in the bank in 2004. But, the years in-between (i.e. 2004 to 2008) were very kind to me: dominated by a series of sales of my Australian, New Zealand, and US businesses to a UK public company … it was almost literally raining money for those years. But, this is a personal finance blog, not a business blog, so I concentrate on the $7m7y because I believe that is repeatable by almost any of my readers. Even so, my $5 million (cash) house certainly breaks the 20% Rule (my net worth would need to be $25m+) but, it doesn’t matter! You see, the 20% Rule only applies when you are still chasing your Number! Remember when you calculated your Number? 2. ADDED in the value of your house (plus any additional cash required to pay off the mortgage), initial cars, and any other one-time purchases. Once you reach your Number, you no longer require 75% of your Net Worth to be in investments: you ‘only’ require the amount that you came up with in Step 1. So, you can buy as much ‘stuff’ (houses, vacation homes, cars, etc.) as you like with any extra cash that you happen to have! For me, it doesn’t really matter how much house I bought, as long as I still have >$5m in investments, generating my annual living requirements. How to save $1 million by 65? Who cares?! Question: I’m 28 and would like to have $1 million by the time I retire at 65. What are some of the investing options I should consider? –Joshua Sin, Fresno, Calif.
Answer: I’m all for savvy investing, and I’ll get to what I think you should do on that front in a minute. But let’s not forget that when it comes to building wealth, investing alone won’t do it. –Walter Updegrave, Senior Editor, Money Magazine. 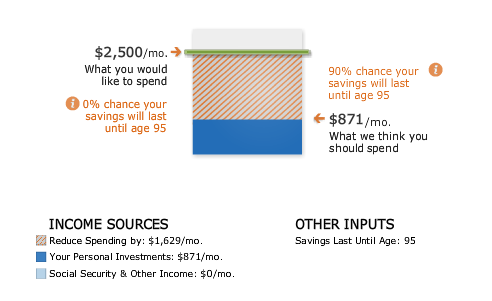 If you begin putting away $100 a month starting now and continue doing so until 2047, the year you’ll turn 65, you would need an annual return of roughly 13.5% a year to turn that monthly hundred dollars into a million bucks. What investment options can deliver a 13.5% annual return for almost 40 years? None that I know of. But, I’ve said it before and I’ll say it again: who in their right mind cares? Hasn’t Walt forgotten to ask the key question … why???!!! Joshua is to be commended for thinking so far ahead, at the age of 28, towards retirement. But, shouldn’t our financial expert’s first step be to examine if the objective is reasonable? … by the time Joshua turns 65 that $1 million will only be worth $268k. It depends on what Joshua does with the money; however, given that his 37 year financial strategy has been simply to ‘save’ (presumably via CD’s, Bonds, Mutual Funds, and the like), I guess we need to assume that he will continue that strategy in retirement. 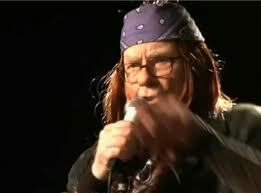 Now, what annual income would be reasonable for somebody like Josh to aim for in retirement? $150k a year? $75k a year? Let’s just say that he aims for $30,000 a year or $2,500 (before tax!) per month in today’s dollars; how well does he do with his $1,000,000? b) even if he made it all the way to his $1 mill. target, he would only have $871 per month to spend?! What sort of financial advice are you looking for? Go ahead, leave a comment – especially if you’ve never done so before – and, we’ll challenge them to respond! Spend More To Invest More? How do you redeem your credit card points? Usually pockets the cash back but flying in the A380 Suites are always nice. Instead of Best Buy cards, it deposits directly into my Fidelity account. A popular option, I’m sure, would be to ‘fly them off’ (as I do). On the other hand, Costco gives cash rebates (which we also enjoy). But, I would be interested to see how our readers currently redeem their credit card reward points? Since you probably have multiple cards, I’ve allowed multiple options on this Reader poll, but just choose the one or two that you mostly figure on using? Once you have made your selection/s, please read on …. I wonder, though, where the best bag for buck (almost literally) comes from? I mean, each rewards program must have some sort of formula as to how they convert every dollar that you spend into points, then a more complicated formula (with different weightings, I’m guessing) to convert those points into the cash and/or airline miles and/or other stuff that they need to ‘buy’ to give to you. But, I’m guessing that those weightings are NOT equal; so what is a more ‘efficient’ (or is that ‘effective’?) use for your points, for the credit cards that you have signed up for? 1. Cash? Whether you direct it to your investing account, or just spend it. 2. More Stuff? Like Best Buy cards … I used to give the rewards to my employees (anything from bicycles to trips for 2, all paid for by redeemed rewards vouchers) in recognition for ‘above and beyond’ performance. 3. Airline Miles? I’m told that this is the best $$-for-point conversion that you can get … and, that redeeming your points for international flights outweighs domestic travel in terms of the ‘free value’ that you receive. Logically, we should aim to get the most Usable Cash Value from our credit card points i.e. either cash, or something that we would convert into cash by using the points INSTEAD of using our own cash on something that we WOULD have spent cash on, anyway. If it’s something that you would NOT have normally bought for yourself, then the Usable Cash Value is actually low [AJC: under my definition!]. Although, I am contradicting myself a little because I just ‘blew’ a whole heap of points on that First Class airline seat that I would never have bought for myself!